Our unique and stunning collection of studio glass art sets the scene for encouraging free thought and awakening ideas, and takes you into a world of light, reflection, and creative expression. Our hour-long classes are for anyone looking to explore this practice, regardless of age or experience. Entry is $10 per guest. 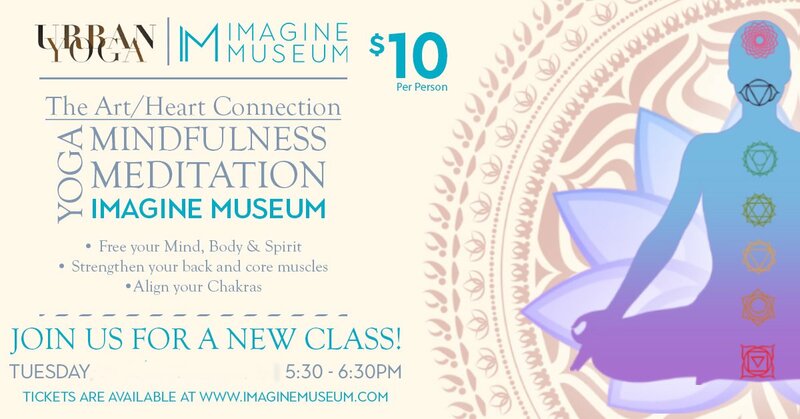 You can register online at http://bit.ly/IMYogaSeries or pay at the door. Yoga mats are NOT provided, and comfortable clothing is recommended.